The Transit Connect Van offers optional Reverse Sensing System to help warn the driver about vehicles, pedestrians or other obstacles behind or, optionally, in front of the vehicle. The City Express doesn’t offer a front parking aid. To help make backing safer, the Transit Connect Van XLT’s optional cross-path warning system uses wide-angle radar in the rear bumper to alert the driver to vehicles approaching from the side, helping the driver avoid collisions. The City Express doesn’t offer a cross-path warning system. Both the Transit Connect Van and the City Express have standard driver and passenger frontal airbags, front side-impact airbags, side-impact head airbags, front seatbelt pretensioners, front-wheel drive, height-adjustable front shoulder belts, plastic fuel tanks, four-wheel antilock brakes, traction control, electronic stability systems to prevent skidding, available daytime running lights and blind spot warning systems. The Transit Connect Van’s corrosion warranty is unlimited miles longer than the City Express’ (unlimited vs. 100,000 miles). To reliably start during all conditions and help handle large electrical loads, the Transit Connect Van has a standard 590-amp battery. The City Express’ 470-amp battery isn’t as powerful. The Transit Connect Van’s 2.5 DOHC 4 cyl. produces 38 more horsepower (169 vs. 131) and 32 lbs.-ft. more torque (171 vs. 139) than the City Express’ 2.0 DOHC 4 cyl. The Transit Connect Van has 1.3 gallons more fuel capacity than the City Express (15.8 vs. 14.5 gallons), for longer range between fill-ups. The Transit Connect Van has a standard cap-less fueling system. The fuel filler is automatically opened when the fuel nozzle is inserted and automatically closed when it’s removed. This eliminates the need to unscrew and replace the cap and it reduces fuel evaporation, which causes pollution. The City Express doesn’t offer a cap-less fueling system. The Ford Transit Connect Van has standard four-wheel disc brakes for better stopping power and improved directional control in poor weather. Only rear drums come on the City Express. Drums can heat up and make stops longer, especially with antilock brakes, which work much harder than conventional brakes. For better traction, the Transit Connect Van has larger tires than the City Express (215/55R16 vs. 185/60R15). The Transit Connect Van’s tires provide better handling because they have a lower 55 series profile (height to width ratio) that provides a stiffer sidewall than the City Express’ standard 60 series tires. For better load carrying, ride, handling and brake cooling the Transit Connect Van has standard 16-inch wheels. Only 15-inch wheels are available on the City Express. For superior ride and handling, the Ford Transit Connect Van has fully independent front and semi-independent rear suspensions. An independent suspension allows the wheels to follow the road at the best angle for gripping the pavement, without compromising ride comfort. The Chevrolet City Express has a solid rear axle, with a non-independent rear suspension. The Transit Connect Van has standard front and rear stabilizer bars, which help keep the Transit Connect Van flat and controlled during cornering. The City Express’ suspension doesn’t offer a rear stabilizer bar. The front and rear suspension of the Transit Connect Van uses coil springs for better ride, handling and control than the City Express, which uses leaf springs in the rear. Coil springs compress more progressively and offer more suspension travel for a smoother ride with less bottoming out. 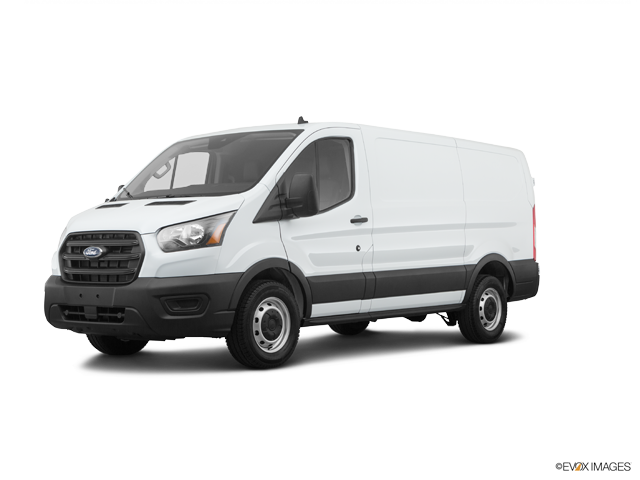 For a smoother ride and more stable handling, the Long Wheelbase Transit Connect Van’s wheelbase is 5.4 inches longer than on the City Express (120.6 inches vs. 115.2 inches). For better handling and stability, the track (width between the wheels) on the Transit Connect Van is 1.4 inches wider in the front and 1.9 inches wider in the rear than on the City Express. For better maneuverability, the Short Wheelbase Transit Connect Van’s turning circle is .6 feet tighter than the City Express’ (36.1 feet vs. 36.7 feet). The Short Wheelbase Transit Connect Van is 1 foot shorter than the City Express, making the Transit Connect Van easier to handle, maneuver and park in tight spaces. The front grille of the Transit Connect Van offers available electronically controlled shutters to close off airflow and reduce drag when less engine cooling is needed. This helps improve highway fuel economy. The City Express doesn’t offer active grille shutters. The Transit Connect Van has 7.6 cubic feet more passenger volume than the City Express (63.2 vs. 55.6). The Transit Connect Van has 5.2 inches more front headroom, 2.9 inches more front hip room and 3.6 inches more front shoulder room than the City Express. The Transit Connect Van’s standard liftgate lifts up in one piece, completely out of the way of loading and unloading, while sheltering the cargo loading area. The City Express’ two swing out doors impair rear visibility, need a lot of clearance, and can block loading in tight quarters. The Transit Connect Van XLT offers a remote vehicle starting system, so the vehicle can be started from inside the driver's house. This allows the driver to comfortably warm up the engine before going out to the vehicle. The climate system will also automatically heat or cool the interior. The City Express doesn’t offer a remote starting system. To help each driver find a more comfortable driving position, the Transit Connect Van has a telescoping steering wheel. Much better than just a tilt steering wheel or adjustable seat, this allows a short driver to sit further from the steering wheel while maintaining contact with the pedals. The City Express doesn’t offer a telescoping steering wheel. The power windows standard on both the Transit Connect Van and the City Express have locks to prevent small children from operating them. When the lock on the Transit Connect Van is engaged the driver can still operate all of the windows, for instance to close one opened by a child. The City Express prevents the driver from operating the other windows just as it does the other passengers. Heated windshield washer nozzles are optional on the Transit Connect Van to prevent washer fluid and nozzles from freezing and help continue to keep the windshield clear in sub-freezing temperatures. The City Express doesn’t offer heated windshield washer nozzles. To improve rear visibility by keeping the rear window clear, the Transit Connect Van offers an optional rear wiper. The City Express doesn’t offer a rear wiper. The Transit Connect Van XLT offers an optional automatic headlight on/off feature. When the ignition is on, the headlights automatically turn on at dusk and off after dawn. The City Express doesn’t offer automatic headlights. To help drivers avoid possible obstacles, the Transit Connect Van XLT offers optional cornering lights to illuminate around corners when the turn signals are activated. The City Express doesn’t offer cornering lights. The Transit Connect Van’s optional power mirror controls are mounted on the armrest for easy access. The City Express LT’s power mirror controls are on the dash, hidden behind the steering wheel, where they are awkward to manipulate. The Transit Connect Van XLT’s optional rear view mirror has an automatic dimming feature. This mirror can be set to automatically darken quickly when headlights shine on it, keeping following vehicles from blinding or distracting the driver. The City Express doesn’t offer the luxury of an automatic dimming rear view mirror. The Transit Connect Van XLT’s optional dual zone air-conditioning allows the driver and front passenger to choose two completely different temperatures so people with different temperature preferences won’t have to compromise. This makes both the driver and front passenger as comfortable as possible. The City Express doesn’t offer dual zone air-conditioning. The Transit Connect Van XLT’s optional automatic temperature control maintains the temperature you set, automatically controlling fan speed, vents and temperature to maintain a consistent, comfortable environment. The City Express doesn’t offer automatic air-conditioning. The Transit Connect Van will cost the buyer less in the long run because of its superior resale value. The IntelliChoice estimates that the Transit Connect Van will retain 47.38% to 47.62% of its original price after five years, while the City Express only retains 45.03% to 45.18%. The Ford Transit Connect outsold the Chevrolet City Express by almost five to one during the 2017 model year.